What Is Art ? ? Adirondack Gold shows the High Peaks in the background, with a bright golden field in the foreground lined by dark evergreens at the far end. 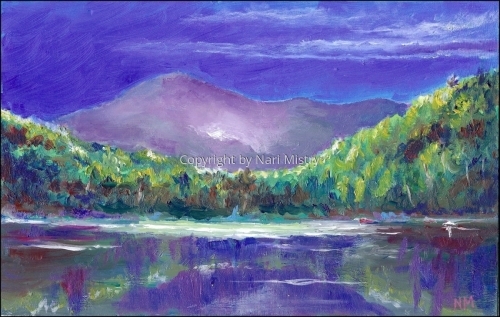 This is one of the Adirondack Series in my Galleries. Watercolor on archival paper. Notecards and prints available. 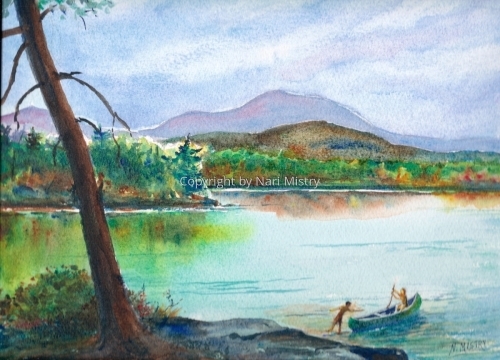 Saranac Lake in the Adirondack region of NY State presents a scene of quiet beauty. This view is from an island. 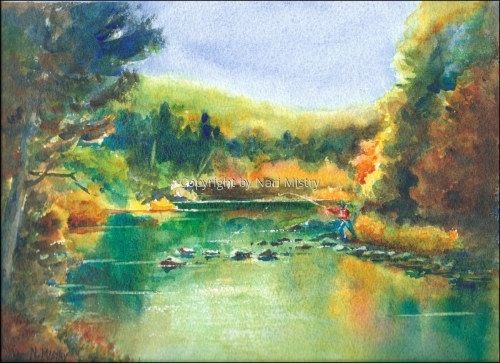 Plein air Watercolor on archival paper. Archival Giclee Prints avilable on request. The Ausable River in the Adirondack region of NY State presents a scene of quiet beauty, just above the rapids that lie ahead. Watercolor on archival paper. Archival Giclee Prints avilable on request. Heart Lake in the Adirondack region of NY State lies next to Adirondack Loj. A scene of moonlit glow on the mountains framing the view. Plein air Oil painting on art board. Archival Giclee Prints available on request. 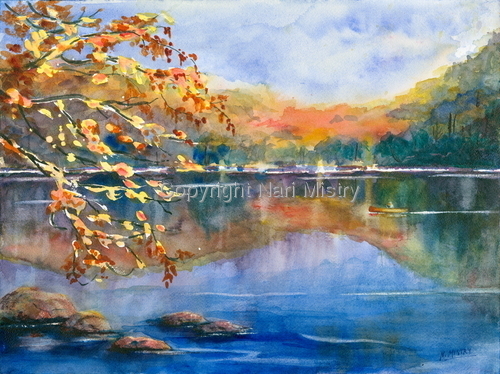 Adirondack lake with fall colors showing in both foreground and distance. The still waters invite contemplation. Watercolor on archival paper. 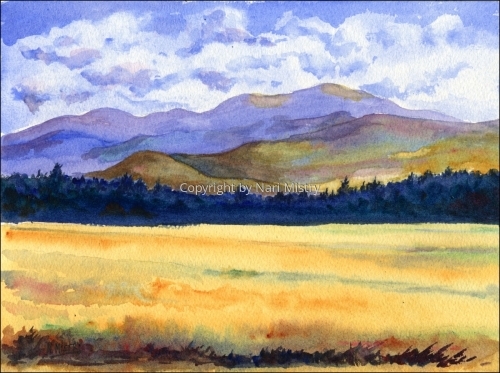 The original is SOLD, but Archival Giclee prints and Notecards available.